The UAB Pediatric Hospital Medicine (PHM) Fellowship Program prepares specialists who will have excellent clinical skills, the ability to perform meaningful scholarship, and the capacity to become leaders in the field of hospital medicine. Our program provides sufficient clinical experience for fellows to become confident experts in the care of hospitalized children. The Pediatric Hospital Medicine Core Competencies are addressed through structured seminars, clinical experience, and directed study. Our PHM Fellowship is typically two years. A competitive salary and fringe benefit package is provided; salaries for physician fellows at UAB are based on year of postgraduate training and are the same across all departments. 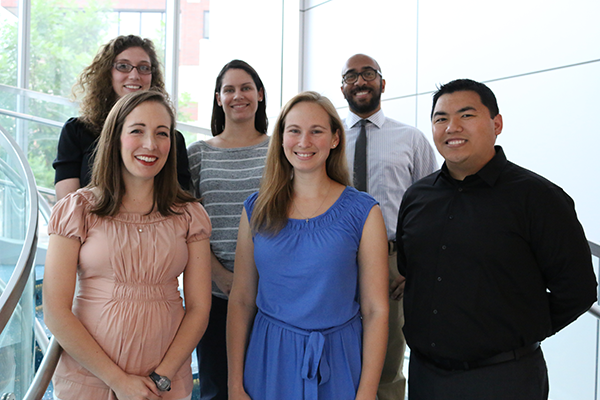 PHM fellows work with 13 academic, UAB Department of Pediatrics faculty members who are pediatric hospitalists. We will accept two well-qualified fellows each year. Applicants must complete residency in an accredited pediatrics or medicine/pediatrics program in the U.S. prior to fellowship. Interested candidates can request application materials or obtain more information from the link provided on this site. We are happy that you have decided to consider our Pediatric Hospital Medicine Fellowship Program to further your training! When you visit Children's of Alabama, you will find a state-of-the-art, thriving facility that was created with the promotion of children’s health in mind. Our division is comprised of young, enthusiastic faculty, and we collaborate with world-class clinicians and researchers in all of the pediatric subspecialties. Children's of Alabama fosters an environment for physicians eager to teach and provide high quality care to their patients. Our fellowship program strives to offer fellows a broad exposure to clinical research, quality improvement, and education built on a foundation of clinical expertise to become leaders in the field of Hospital Medicine. Our website provides a general overview of the training program. We extend to you a cordial invitation to meet our faculty and fellows! To prepare the future leaders in the field of Hospital Medicine as confident experts in the care of the hospitalized child. Educate patients, families, and the next generation of healthcare providers as active members of the academic community. UAB Pediatric Hospital Medicine (PHM) Fellowship Program at the Children’s of Alabama is currently accepting applications for July 2018. This is a two-year fellowship program with two fellow positions per year. Our program consists of a curriculum designed to provide sufficient clinical experience for fellows to become confident experts in the care of hospitalized children. The UAB PHM Fellowship Program will be participating in the NRMP Pediatric Specialties Fall Match. The match for this year is complete. For application details or questions about the program, please feel free to contact our Program Coordinator, Gay Blair at gblair@peds.uab.edu or Chang L. Wu, MD, Fellowship Director at cwu@peds.uab.edu. 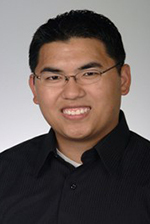 Fellows serve as attending physicians on a busy general inpatient service for approximately 16 weeks per year, initially working under the supervision of PHM faculty members. In-house overnight call is limited to 24 nights per year (2 nights per month). Clinical service takes place in Children’s of Alabama, the centerpiece of a health system for children and adolescents that occupies new, state-of-the-art 340 bed inpatient facilities. Children’s of Alabama serves as the regional referral center for Alabama and surrounding states. Fellows devote time and effort to academic interests including research projects focused on quality improvement, clinical problems, or medical education. Our faculty have developed a core lecture series to give fellows a working knowledge of health information systems, study design, and basic biostatistics, among other topics. All PHM fellows will complete a research project that will contribute to the field of pediatric hospital medicine in its broadest sense, as well as the opportunity to build a disease-specific clinical pathway to be used at Children’s of Alabama. * 16 clinical service weeks per year, split between resident and non-resident services (8 weeks each during Year 1, 12 weeks on resident service during Year 2).